Durga Devi has evolved from an NYC indie rock singer to being one of the in-demand yoga teachers in the UK, definitely one of its most rock’n’roll. 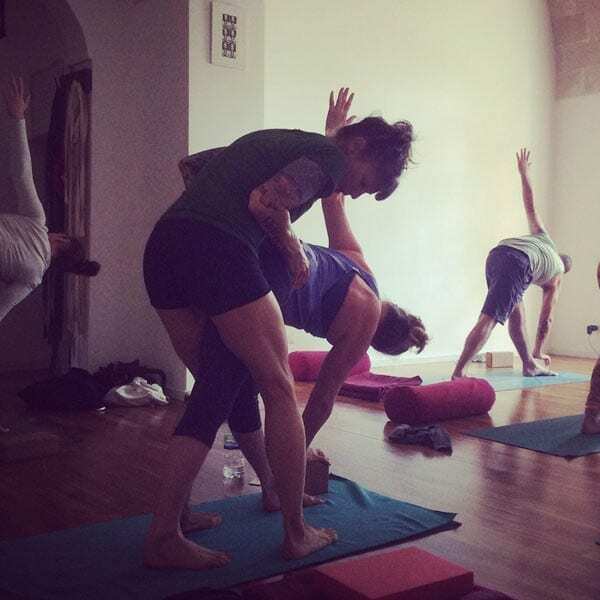 She has London’s hippest crowd squeezing their mats into her classes (devotees include Sam Taylor-Johnson and Thandie Newton). With her glowing energy and edgy tattooed look, Durga manages to make chanting and chakra balancing fun and cool; plus, the physically challenging Jivamukti-style she teaches produces a graceful, honed dancer-style body. 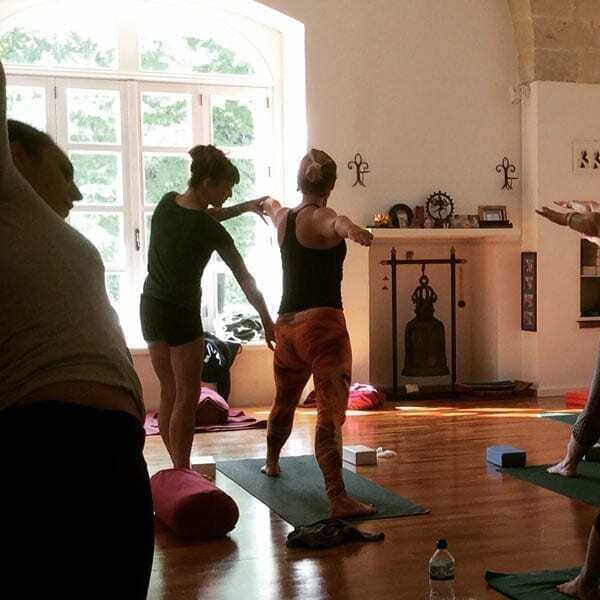 Durga’s authentic approach is the real deal – down to serious mat work, hard study for over 20 years and 14 years of teaching from New York to London, throughout Europe and India. Jivamukti classes integrate the physical, psychological, and spiritual aspects of yoga. Classes include vinyasa based asana practice, hands-on adjustments, breath awareness, meditation and deep relaxation. The vibe of a class is supported by Sanskrit chanting, eclectic music, readings, spoken word and references to yoga philosophy texts.